The following lampwork jewelry pieces feature lampwork glass beads that look almost good enough to eat! When I found these beads they reminded me of a good cup of mocha coffee, with raspberry flavoring and drizzled with chocolate! Mmmm-mm! I sure do love a good cup of coffee -don't you? 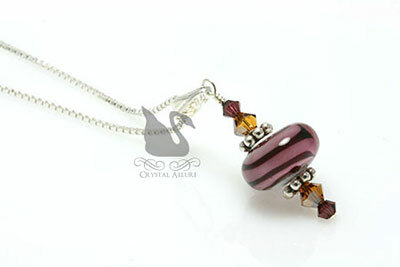 A single mouth watering mocha drizzled raspberry lampwork glass beads is accented with burgundy and satin topaz Swarovski Crystals, .925 Bali and draped on an elegant 18" sterling silver chain. 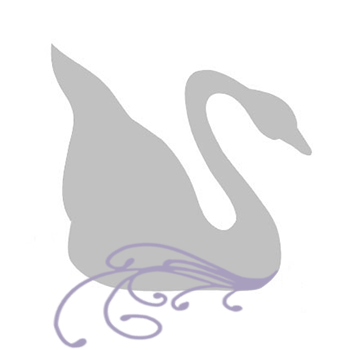 The full pendant length measures 1-1/2". And how about some delicious dangles for your ears! 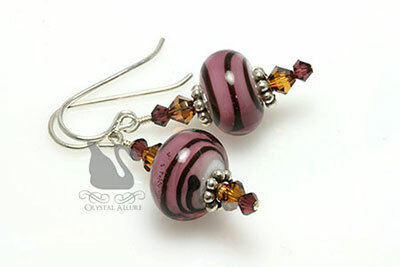 The same mocha drizzled raspberry lampwork glass beads are adorned with burgundy and satin topaz Swarovski Crystals, .925 Bali and sterling silver ear wires, in these handmade beaded earrings. Earring length is 1" from the bottom of the ear wire. Handcrafted beaded bracelet created with the "last of the batch" mouth watering mocha drizzled raspberry lampwork glass beads accented with burgundy and satin topaz Swarovski Crystals and .925 Bali. 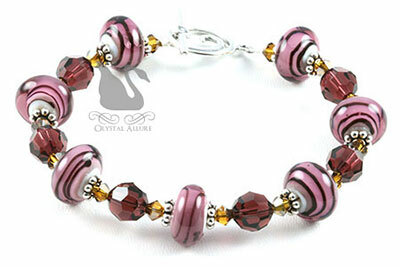 The swirl toggle clasp complements the swirl lampwork glass bead design. Measures 8".